The FTTH Council applauds the Broadband Opportunity Council on their action plan for the Federal government to expand broadband access in the United States. 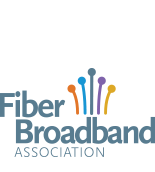 We are encouraged that the Broadband Opportunity Council took the recommendations of the FTTH Council to help broadband providers and communities break down information barriers and deploy better, faster, fiber broadband that enables digital life in our communities. The FTTH Council appreciates the opportunity to share with the Federal government its ideas to promote comprehensive strategies to lower regulatory barriers while facilitating all-fiber network builds. We look forward to continuing to collaborate on these efforts.